Classy Cobalt styling combined with big-block power for superb responsiveness and top-end speed. 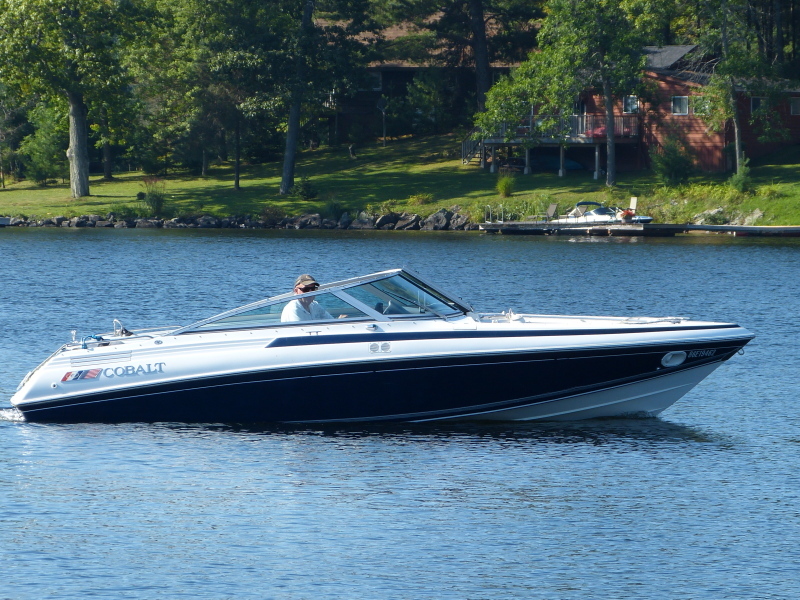 Traditional Cobalt build quality and design ingenuity is evident throughout, and she offers a terrific amount of very functional built-in storage with loads of plush, comfortable seating forward and aft. This 222 Condúrre is in beautiful condition, runs like a dream, and is loaded with options. With only 715 hours on the meter and newly replaced outdrive bellows and gimbal bearing($2000), she’s ready for a new owner and many more years of stylish, carefree boating at a fraction of the cost of newer craft.